SEER rating are the method used to describe the efficiency of a particular equipment system. SEER stands for “Seasonal Energy Efficiency Ratio”. The systems purchased today typically range from 10.00 SEER to 18.00 SEER. If you have a home and the current system is 10-15 years old, you may have a system that ranges from 6.0 SEER to 10.00 SEER. Of course at the time it was installed, 10.00 SEER was considered “High Efficiency”. Today, with all the focus on conservation and energy savings, that “High Efficiency 10.00 SEER” from 10-15 years ago is growing obsolete. If you have a 6.0 SEER, and you installed a new 12.00 SEER or 13.00 SEER system, you would cut your power consumption in half (in regard to your AC System). Considering that in many cases the central air system represents the largest draw on power in your home, any improvement is a wise decision. The systems today are very advanced as you move up in the efficiency range. They cost a bit more at initial purchase, but when you calculate the energy savings -vs- dollars spent they pay for themselves fairly quickly. Current system is 6.0 SEER and power bill runs $150.00 per month. A 10.00 SEER system is $1500.00 and your power bill may be $125.00 per month. 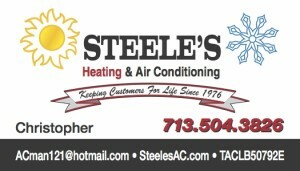 Upgrade to a 14.00 SEER system for an additional $800.00 and your power bill drops to $90.00 per month. Financing is available and your electric savings could help you make the payments. The price between the 10.00 SEER and the 14.00 SEER is $800.00. The monthly savings equate to $35.00 per month (14.00 SEER -vs- 10.00 SEER). Take the $800.00 difference and divide that by the $35.00 savings and you would pay off the improved system through energy savings in 22.86 months. Less than 2 years. No matter what, you were going to replace the system with at least a 10.00 SEER system. Improved power bill, increased value of home, and your system won’t be obsolete in 2 years. Bear in mind, the ratio of savings varies from household to household as people live differently in each case. The example given above is strictly as an example and there is no guarantee that you will see that exact example in your home. Cooling efficiency is measured in SEER (Seasonal Energy Efficiency Ratio) and heat pump heating in HSPF (Heating Seasonal Performance Factor). Ratings works like gas mileage on your car. The higher the SEER or HSPF number, the higher the efficiency and the greater the energy savings. * For instance, if your old unit is 10 to 15 years old, the efficiency rating could be a wasteful 6 SEER. This chart gives you a sample of you how much you could save by upgrading to the American Standard system that fits your needs. * Savings percentages based on national averages; may vary according to efficiency of current unit and temperature zone location. Improve your insulation factors in your attic to R-30. We install Blow in insualtion and Attic Tents. Seal the current duct system in your home with tape, fab and sealants. Make sure your cold air return is large enough for the system. We can evaluate your air flow and house size and correct this issue. Keep your filter cleaned and changed monthly. You can also have a media filter and/or UV Aire cleaner to not only increase the cleanliness of aire but reduce filter changes by up to 6 months. Keep your unit serviced. At least twice per year. We recommend in the Spring and Fall. These are just a few ideas that are proven to work. Common sense should prevail in regard to maintaining your unit. It could mean the difference between your unit lasting only 8 years or lasting 20 years. It is like changing the oil in your car.